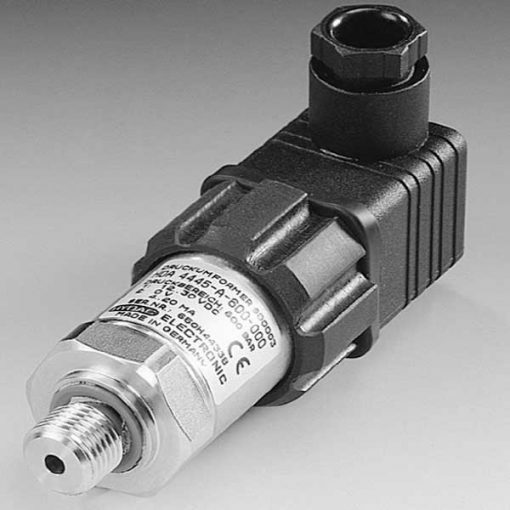 To begin with, the pressure transmitter series HDA 4400 has a pressure measurement cell with thin-film strain gauge on a stainless steel membrane. What’s more, the 4 .. 20 V or 0 .. 10 V output signals enable connection to all HYDAC ELECTRONIC GMBH measurement and control devices. It enable also the connection to standard evaluation systems (e.g. PLC controls). Moreover, the main areas of application are in the mobile or industrial sectors of hydraulics and pneumatics. This is the case particularly in applications with restricted installation space.